The crossover-minivan mashup goes rugged. 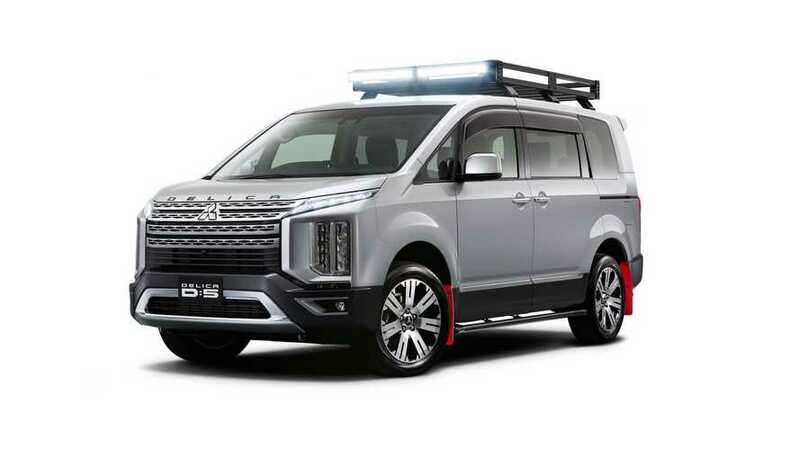 Mitsubishi finally revealed a new generation D:5 Delica in late November this year and is now preparing to introduce a new concept based on the van-SUV mashup. During the Tokyo Auto Salon in January next year, the Japanese manufacturer will showcase a rugged version of the model and we can only hope it will reach mass production. 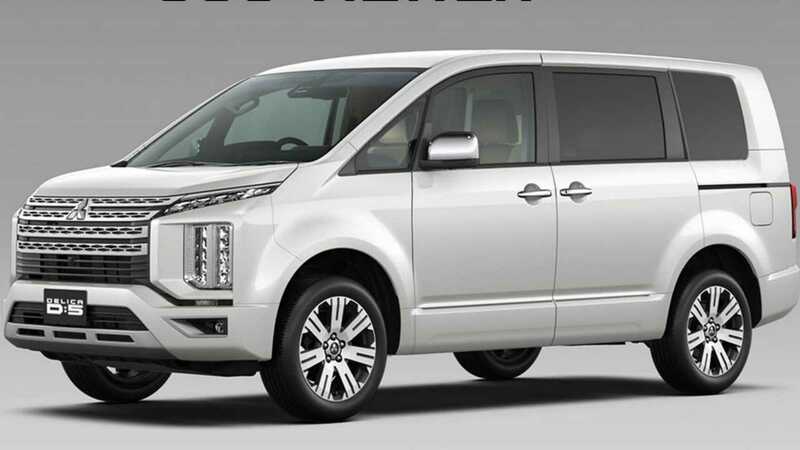 Based on the Urban Gear trim, one of the two available models in the new Delica’s portfolio, the concept comes with full plastic body cladding for additional protection, as well as new decorative elements from aluminum in the front bumper. There’s also a heavy-duty roof carrier with two integrated LED lighting bars at the top. Some additional guard bars and mudflaps give the prototype an adventure-ready look, but, as far as we know, it doesn’t come with raised suspension or any additional off-road improvements. Still, even in stock form, the Delica is capable of doing some light to medium off-road thanks to the standard all-wheel-drive system with three modes - 2WD, 4WD, and Lock. Mitsubishi is not providing any details about the interior of the car so we assume it comes with no tweaks. In production form, the Urban Gear trim level brings nice goodies such as electric front seats, power tailgate, and leather seats. The cabin can accommodate up to six passengers. The Delica concept is powered by the same engine that’s found under the hood of the production model. It is a 2.2-liter turbodiesel engine with 170 horsepower (127 kilowatts) and 290 pound-feet (392 Newton-meters) on tap channeled through an eight-speed automatic gearbox to all four wheels. We’ll have to wait until the Tokyo Auto Salon starts in two weeks’ time to find out whether Mitsubishi has plans to put the rugged D:5 Delica into production. Fingers crossed! Note: The gallery below depicts the standard D:5 Delica. Mitsubishi has provided just a single image of its rugged version so far.